Along with the launch of Nokia Android Phones Nokia launches two budget phones. 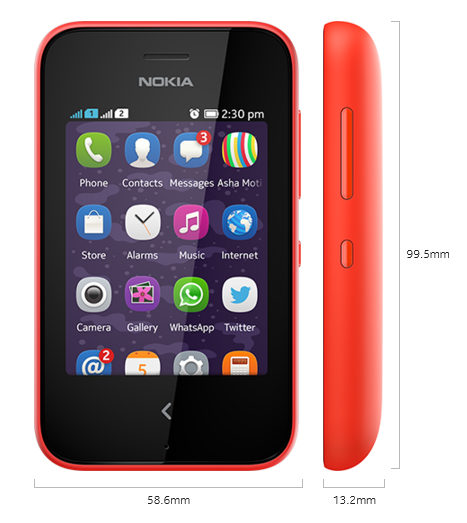 Adding to the popular Asha range of devices, the Nokia Asha 230 is the ideal introduction to full-touch mobile phones. The Nokia Asha 230 includes all the benefits of the Nokia Asha Software Platform, including Fastlane and access to popular social apps like Line, We Chat and WhatsApp. One swipe up from the lock screen activates the Nokia Asha 230's camera, and one touch enables people to share images to their favourite social network. With a forthcoming software update, the Nokia Asha 230 will introduce 7GB of free cloud storage on Microsoft OneDrive, and the option to automatically back up photos to the cloud. The beautifully designed Nokia 220, which makes mobile Internet accessible to more people around the world. With its 2.4" color screen, dust- and splash-proof keypad, the Nokia 220 is a well-crafted choice for people experiencing mobility and the Internet for the first time, with Twitter pre-loaded and Bing as the default search engine in the pre-loaded Nokia Xpress browser. 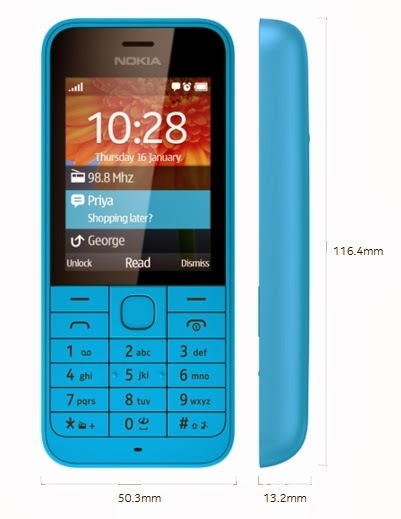 Retail prices for the Nokia 220 start at EUR 29. It will be available for sale immediately in single and Dual SIM variants and rolling-out in Asia-Pacific, Europe, India, Latin America, the Middle East and Africa. The phones be will available in Pakistan soon.